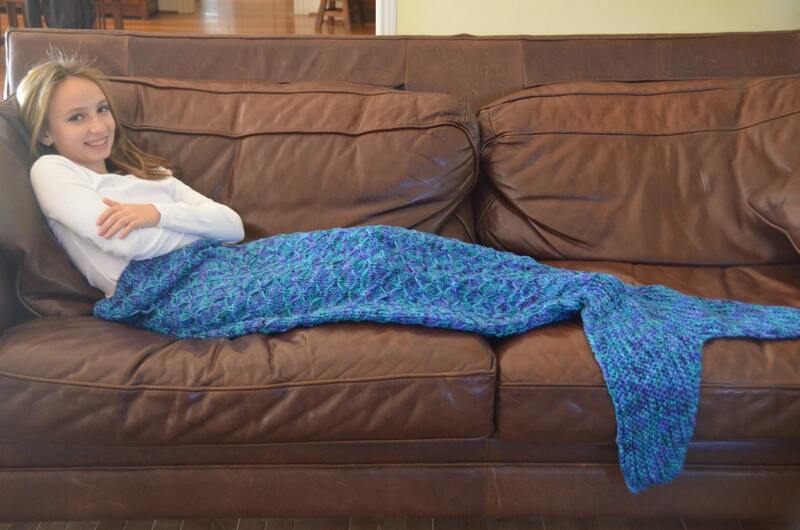 Introducing the Mermaid Tail blanket! Your little one will love getting her mermaid on while snuggling in this cozy mermaid tail cocoon blanket. 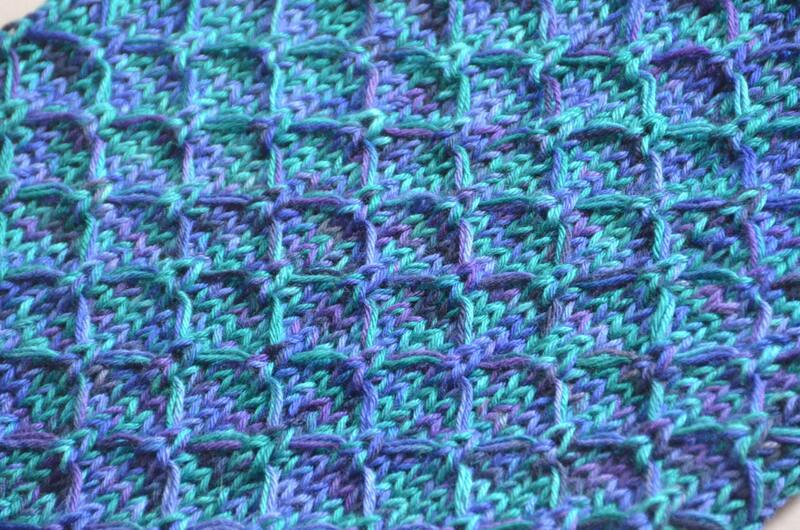 Made from a turquoise and purple variegated machine washable/dryable yarn. Prefer a blanket to tuck around you to a cocoon style? No problem! Just convo me and I can do that instead. Looking for a different color? Let me know what you're looking for, and I'll see if I can find the right yarn. Size small is approximately 26" in circumference, and 38" long (not including tail). Medium is approximately 32" in circumference and 42" long, and Large is approximately 36" in circumference and 47" long. *** Each blanket takes approximately 2-5 days to be knit. When I receive your order, I'll e-mail you to let you know how many orders are ahead of you, and when I expect to start knitting your blanket.